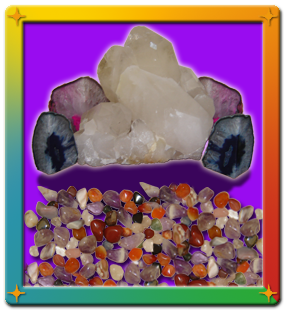 There are many types of semiprecious stones, crystals, and gems. Each stone offers specific healing abilities which are beneficial to your life. You may choose to wear the stones as jewelry, keep them loose for meditation, or use them in your decor. Stones make a great, thoughtful gift. I have a great selection of stones available for purchase. You may purchase stones in person or by phone.